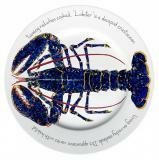 Richard Bramble was born in London in 1968 and attended Sherborne School in Dorset with an art scholarship. 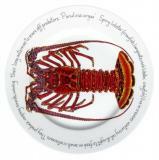 In 1986 he gained a place at the Slade School of Fine Art, which is part of University College London UCL part of London University. Since graduating in 1990 Richard Bramble has worked full time as a fine artist, with his work appearing in numerous exhibitions around the country and in various private and corporate collections. 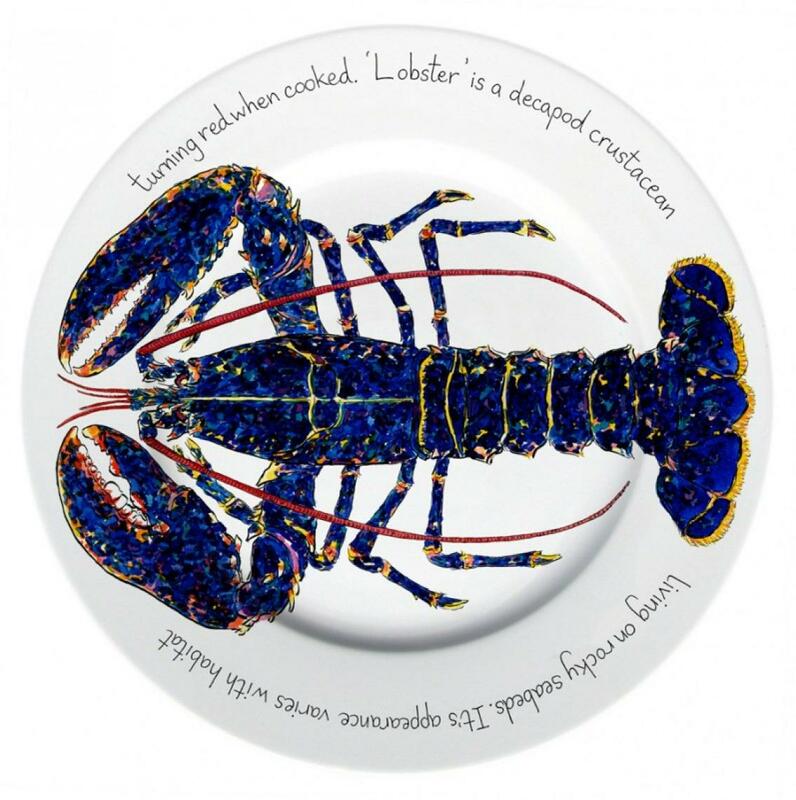 Since 1995 Richard Bramble has worked with top Michelin starred chefs in the UK, creating a range of ingredient and wine paintings and handmade limited edition prints. In 1998 Richard Bramble's collaboration with the chefs led to the publication of 'The Star Chefs Cookbook', incorporating his paintings and their famous signature dishes. 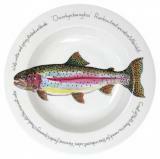 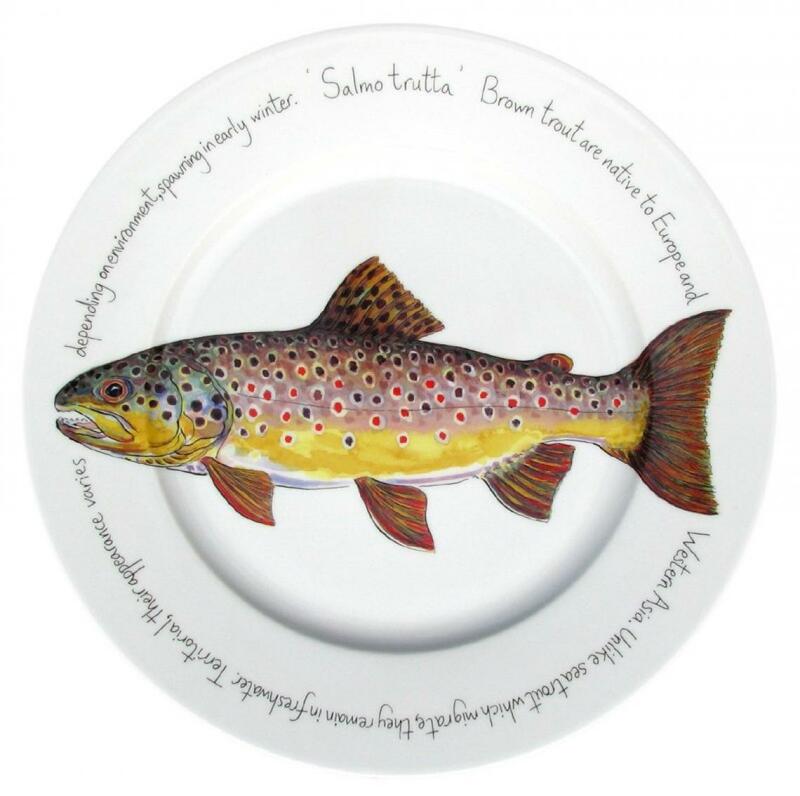 This was a time that also inspired Richard Bramble to create his first ceramic collaborations including one between the chef Gordon Ramsay and Villeroy & Boch Pottery to create an Aubergine design porcelain dress plate for Gordon Ramsay's first restaurant. 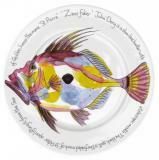 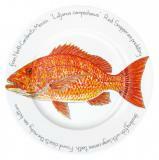 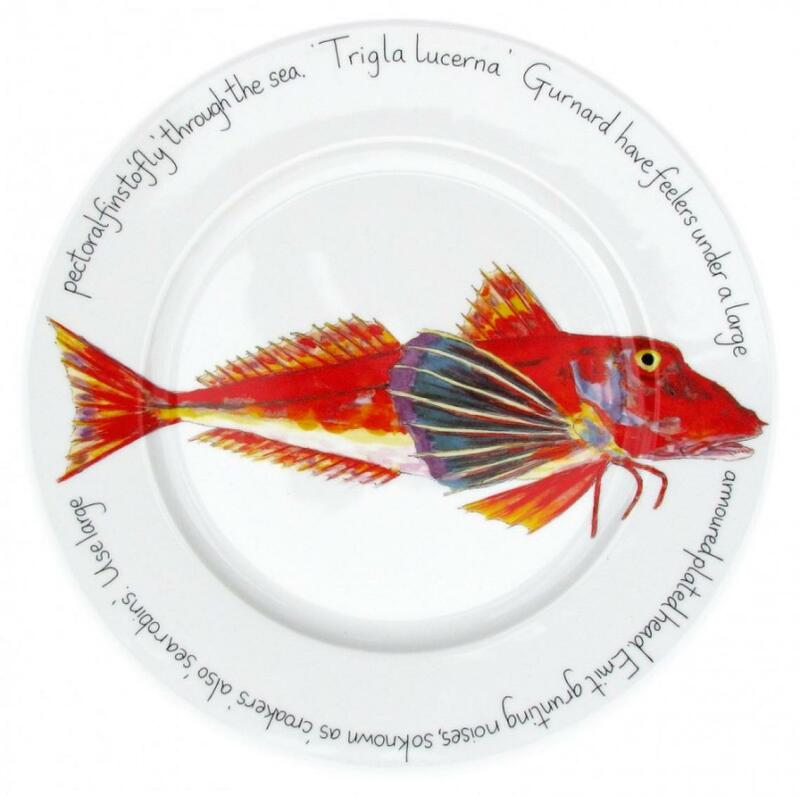 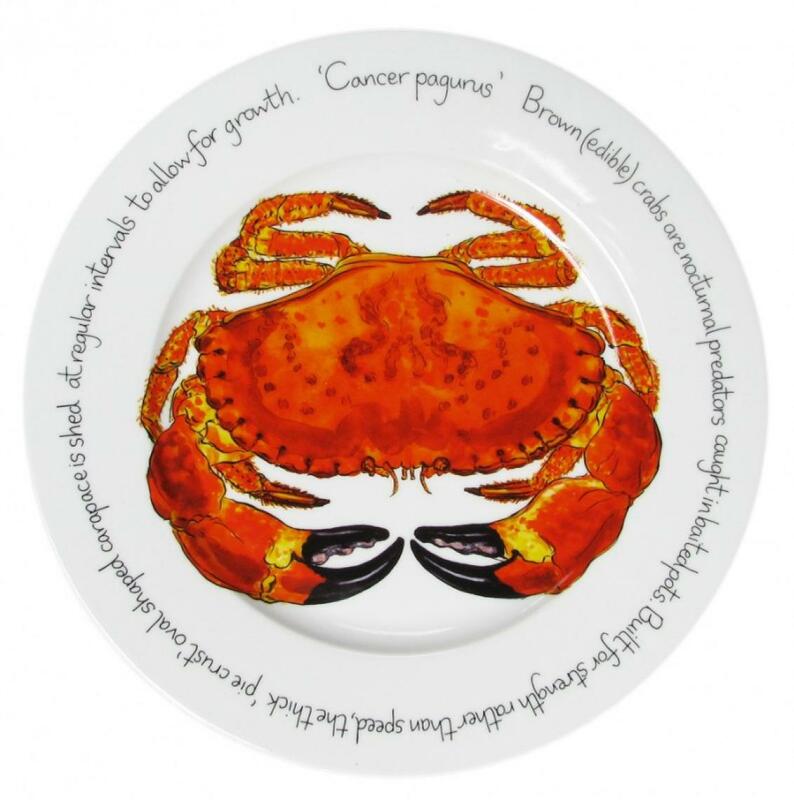 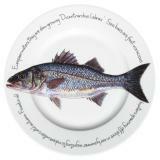 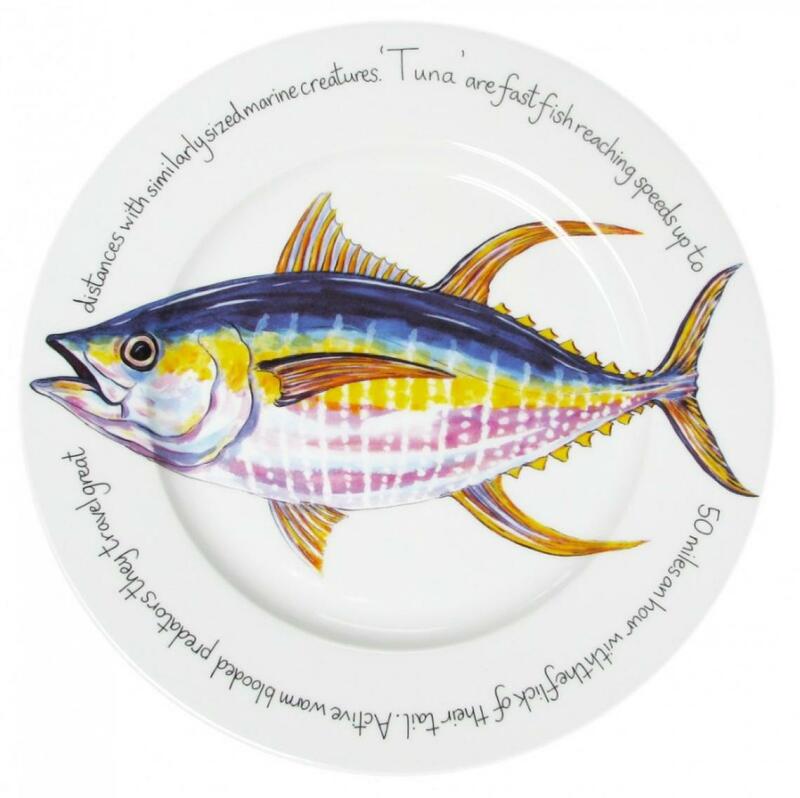 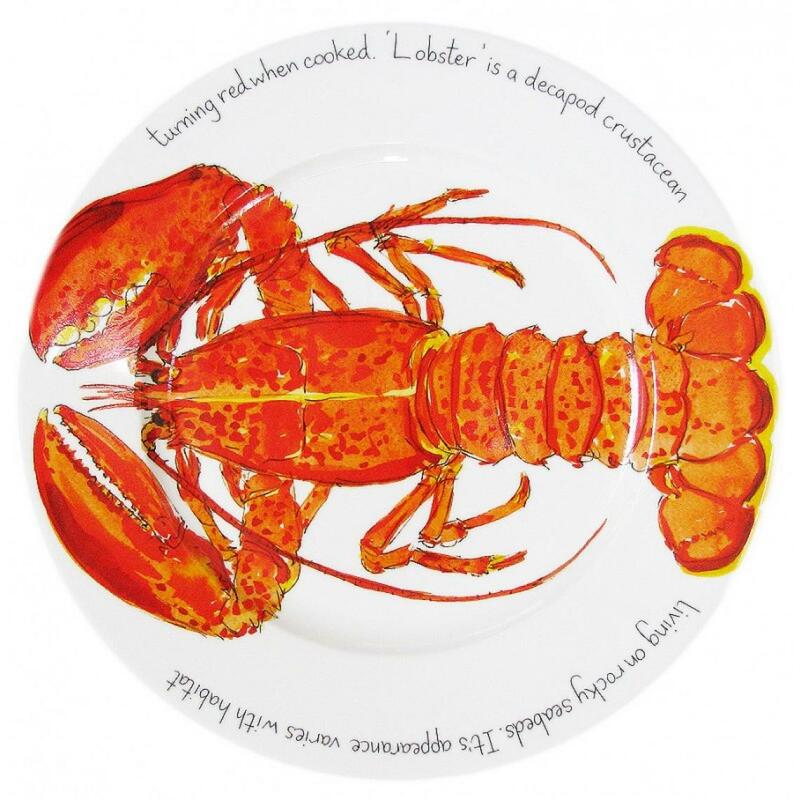 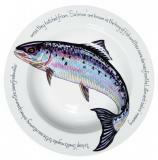 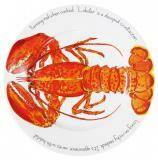 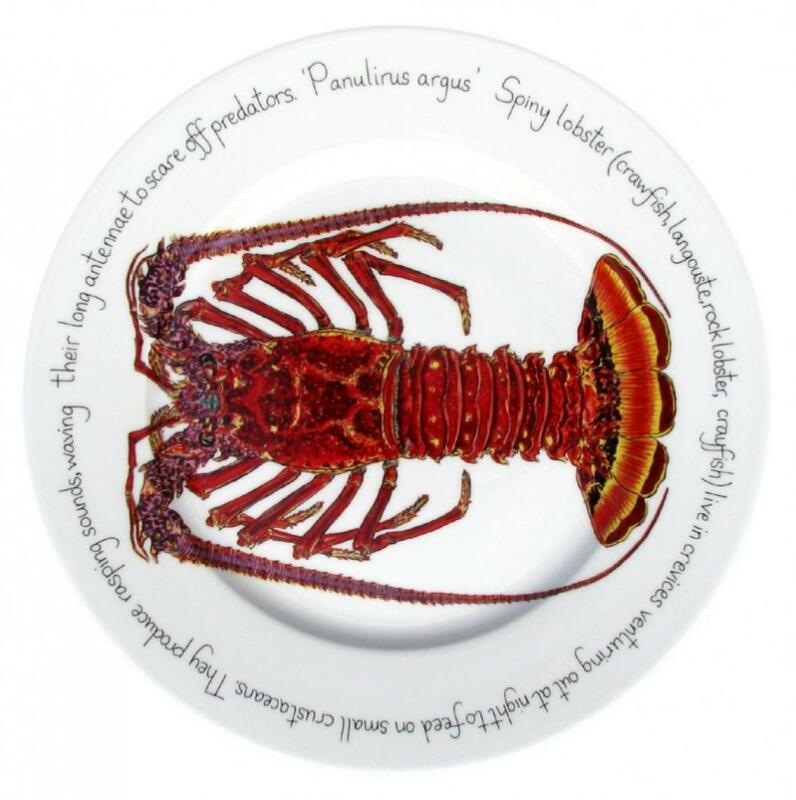 Richard then developed this concept taking his ingredient studies (Red Mullet, Lobster, John Dory, Aubergine, Fennel, Saffron and more...) that featured in the book and using a summary of the text around the plate rims, he created an ingredient plate design range. 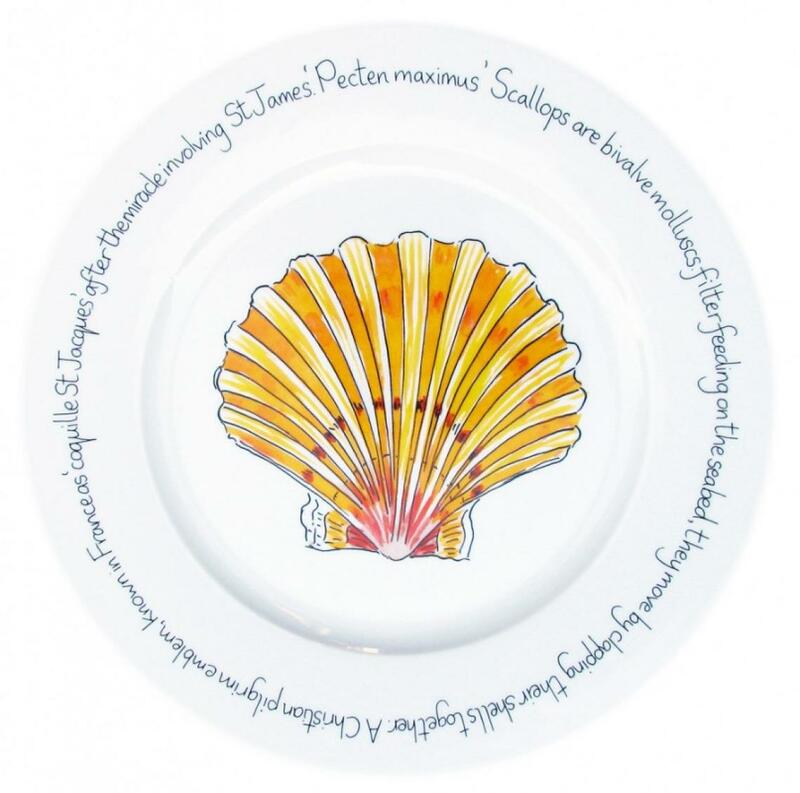 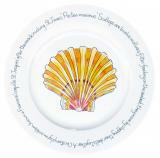 Both Villeroy & Boch and Wedgewood potteries considered producing these ranges but due to the specialist nature, it was Jersey Pottery that Richard Bramble chose to work with for a period of fifteen years. 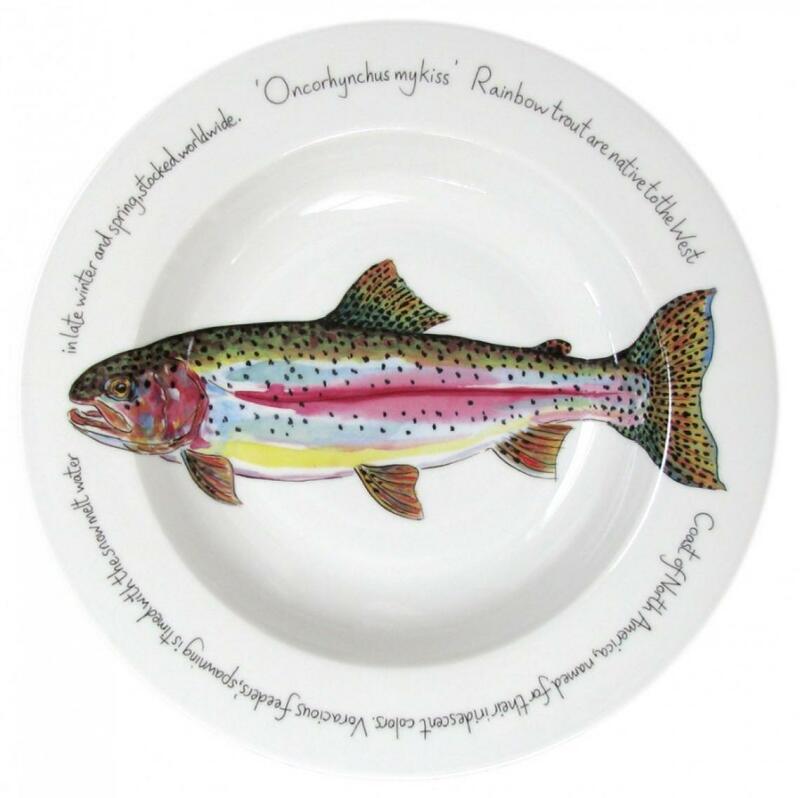 Since 2016 Richard Bramble designs and manufactures his own ranges, supplying select stores around the world. If you would like more information on this piece please call us on +64 9 529 1660 or email info@js.co.nz quoting #110-65.